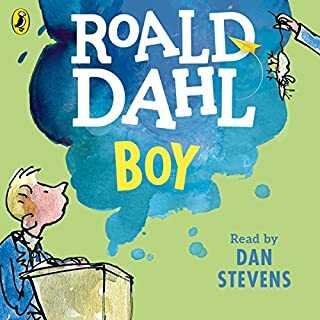 Puffin presents the new, unabridged audiobook edition of Roald Dahl's best-selling autobiography Boy, read by Dan Stevens from Downton Abbey. 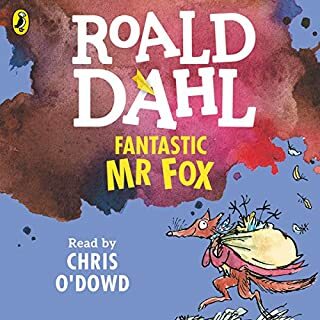 Throughout his young days at school and just afterwards, a number of things happened to Roald Dahl, which made such a tremendous impression he never forgot them. Boy is the remarkable story of Roald Dahl's childhood; tales of exciting and strange things - some funny, some frightening, all true. A Chinese proverb says, "Falling leaves return to their roots." 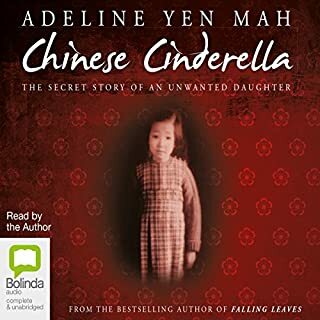 In Chinese Cinderella, Adeline Yen Mah returns to her roots to tell the story of her painful childhood and her ultimate triumph and courage in the face of despair. Adeline's affluent, powerful family considers her bad luck after her mother dies giving birth to her. Life does not get any easier when her father remarries. She and her siblings are subjected to the disdain of her stepmother, while her stepbrother and stepsister are spoiled. 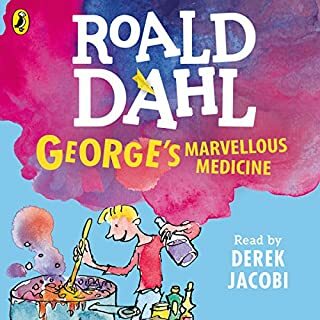 Penguin presents a brand new, downloadable audiobook recording of Roald Dahl's classic George's Marvellous Medicine. George Kranky is eight-years-old and wondering what sort of mischief he might get into. George's Grandma is a grizzly old grouch and George wants to teach her a lesson . . .And when Grandma's finished drinking George's marvellous medicine, she'll really have something to grumble about. 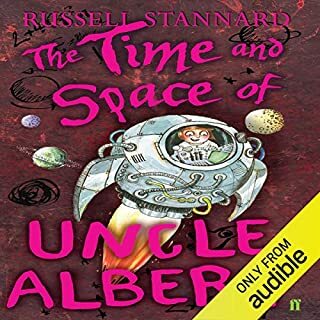 Book One in the best-selling 'Uncle Albert' science/adventure series. Famous scientist Uncle Albert and his niece Gedanken enter the dangerous and unknown world of a thought bubble. Their mission: to unlock the deep mysteries of time and space... 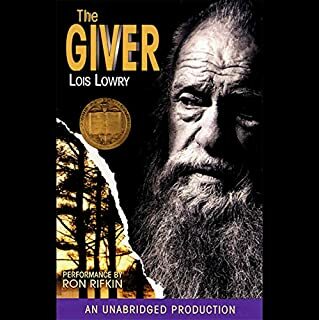 In this action-packed adventure story, discover why you can't break the ultimate speed barrier and find out how to become older than your mother, how to put on weight without getting fat, and how to live forever without even knowing it. What happens when innocence is confronted by monstrous evil? 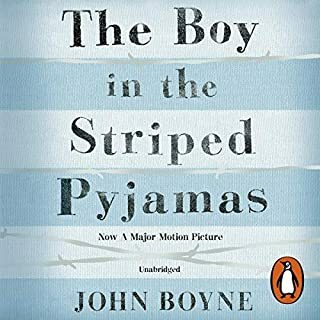 Nine-year-old Bruno knows nothing of the Final Solution and the Holocaust. He is oblivious to the appalling cruelties being inflicted on the people of Europe by his country. All he knows is that he has been moved from a comfortable home in Berlin to a house in a desolate area where there is nothing to do and no one to play with. 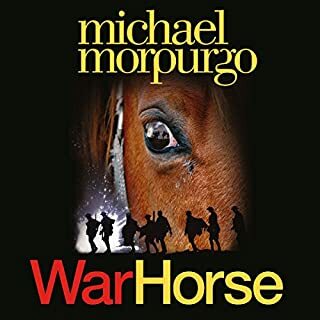 Michael Morpurgo’s classic tale, capturing the power of the human spirit. First published back in 1982, ‘War Horse’ has taken the world by storm. The book was adapted to the stage and was performed at the National Theatre and on Broadway. This full and unabridged edition is beautifully performed here by the National Theatre’s first Albert, OIivier-award-winner Luke Treadaway. At the outbreak of World War 1, Joey, young Albert's beloved horse, is sold to the cavalry and shipped to France. It's 1943 and Lily Tregenza lives on a farm in the idyllic seaside village of Slapton. Apart from her father being away, and the "townie" evacuees at school, her life is scarcely touched by the war. Until one day, when Lily and her family, along with 3,000 other villagers, are told to move out of their homes: lock, stock, and barrel. Soon, the whole area is out of bounds, as the Allied forces practise their landings for D-day, preparing to invade France. But Tips, Lily's adored cat, has other ideas; barbed wire and keep-out signs mean nothing to her, nor does the danger of guns and bombs. Frantic to find her, Lily makes friends with two young American soldiers. 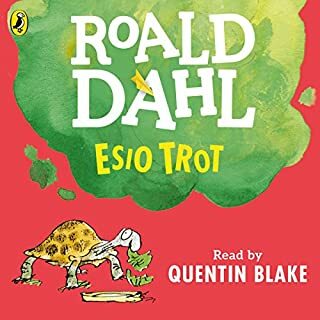 Esio Trot, a classic Roald Dahl story, is brought to life in this audiobook edition by Sir Quentin Blake. Mr Hoppy loves Mrs Silver. Mrs Silver loves Alfie the tortoise. Sometimes Mr Hoppy wishes he could become a tortoise. Until one day he finds a way to win Mrs Silver's heart, with the help of a little magic and some cabbage. Une nuit, Yann réveille ses six frères aînés, tous jumeaux. 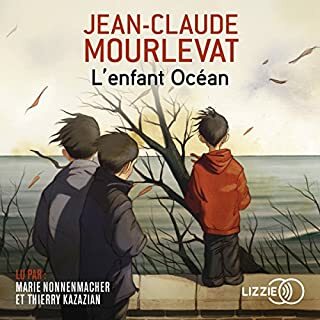 Il faut fuir : leur père a menacé de les tuer. Irrésistiblement attirés par l'Océan, les sept enfants marchent vers l'Ouest. De l'assistante sociale au routier qui les prend en stop, du gendarme alerté de leur disparition à la boulangère qui leur offre du pain, chacun nous raconte à sa façon un peu de leur incroyable équipée. Ten strangers are lured to an isolated island mansion off the Devon coast by a mysterious "U.N. Owen". At dinner a recorded message accuses each of them in turn of having a guilty secret, and by the end of the night one of the guests is dead. Stranded by a violent storm, and haunted by a nursery rhyme counting down one by one...one by one they begin to die. Who among them is the killer? And will any of them survive? 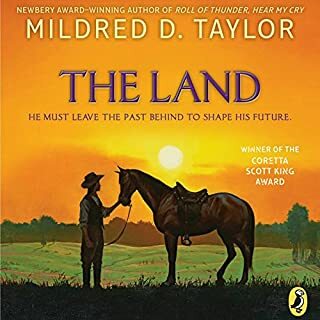 Ever since running away at the age of fourteen, Paul-Edward, the son of a white landowner and a black slave, has had one dream: to own land every bit as good as his daddy's. While growing up, Paul-Edward loved, and feared, his father, but he loved the land unconditionally. Then, after a rash act of youthful rebellion, he leaves his family behind and vows to succeed on his own. However, for anyone black coming of age in 1880's Mississippi, this is no simple goal. Forbidden to leave her island, Isabella dreams of the faraway lands her cartographer father once mapped. When her best friend disappears, she's determined to be part of the search party. 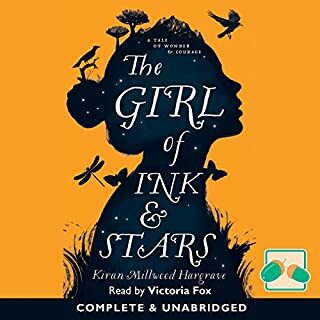 Guided by an ancient map and her knowledge of the stars, Isabella navigates the island's dangerous Forgotten Territories. But beneath the dry rivers and dead forests, a fiery myth is stirring from its sleep. 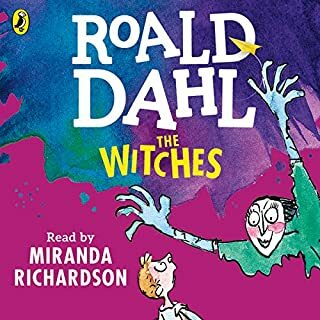 Penguin presents a brand -ew recording of Roald Dahl's classic The Witches, read by Miranda Richardson. The Witches have a motto: One child a week is 52 a year. Squish them and squiggle them and make them disappear. 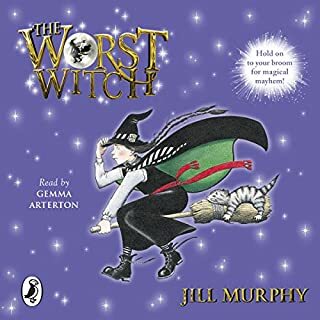 The Grand High Witch of All the World is the scariest of the lot, but one boy and the grandmother he adores have a plan to get rid of the witches for good. Don Diègue et le comte de Gomès projettent d'unir leurs enfants Rodrigue et Chimène, qui s'aiment. Mais le comte, jaloux de se voir préférer le vieux Don Diègue pour le poste de précepteur du prince, offense ce dernier en lui donnant un soufflet. Don Diègue, trop vieux pour se venger par lui-même, demande à son fils Rodrigue de le venger; déchiré entre son amour et son devoir filial, ce dernier finit par accepter et tue le père de Chimène en duel. 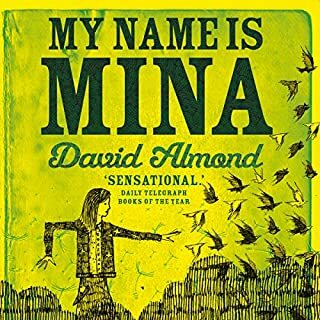 Winner of the Guardian Children's Fiction Award. 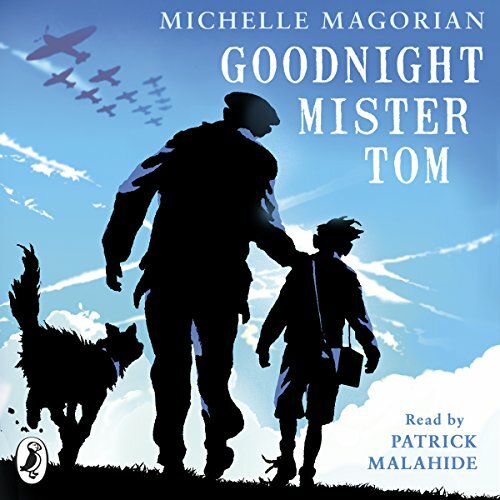 Penguin presents the downloadable audiobook edition of Goodnight Mister Tom, read by Patrick Malahide. 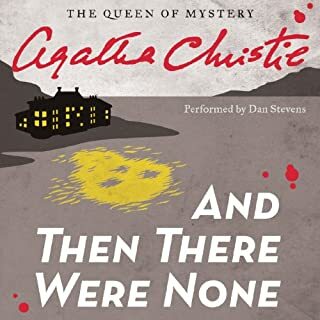 This Audiobook is not half the original story! Half of the book has been discarded. they litteraly just took the "important "parts and discarded the rest so this book is just a 1/4 of the original. I had trubbel keeping track of my feelings. 1 minutes crying then laughing. 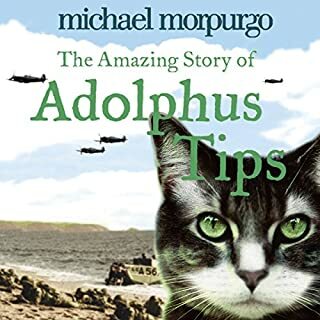 Memorable book!